For modern conservationists, preventing biodiversity loss worldwide continues to be a vital but daunting task. Thankfully, in many cases conservationists can often look to indigenous communities for sustainable models. In order to go beyond simply replicating an indigenous model, a deep partnership grounded in sincere mutual respect must be formed. An example of such genuine collaboration occurred between a team of conservationists and the indigenous Hewa community of Papua New Guinea beginning in the 1990s. The Hewa offered ancestral environmental knowledge to conservationists, sharing their cultural heritage to help map out potential human impact on local biodiversity. 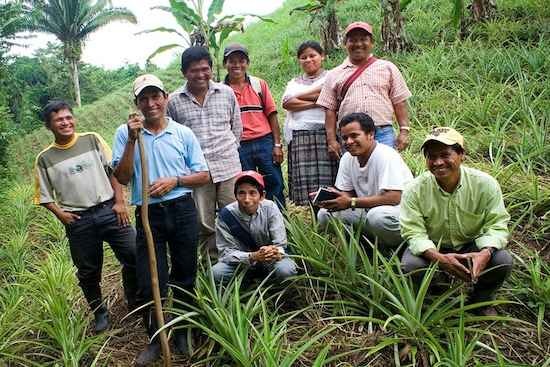 This partnership clarified common conservation goals and demonstrated the immense value of a mutually beneficial partnership between modern scientists and indigenous peoples. The project involved documenting Hewa indigenous knowledge of local bird species in order to create an inventory of bird populations, their territory, preferred altitude (the Hewa occupy foothills and lower forests in Papua New Guinea), food sources and nesting areas. Birds are a key species in Hewa territory as they are the main seed spreading agents in the forest. Ensuring stable bird populations is essential to the flourishing of the ecosystem. The Hewa use rotating plots of land to cultivate food and their extensive knowledge of local bird species enables them to choose land which will have minimal impact on bird habitat. Since the birds play such an integral role in the cycle of forest growth, this profound awareness of bird activity enables the Hewa to minimally impact their ecosystem and better provide for their own livelihood. After documentation and analysis, it was found that deforestation in these forests would result in a loss of over 50 bird species. In addition, shortening the non-farming period of the Hewa land plots would destroy over 40 more species. Overall, more than 50% of the birds found in this area would be severely affected by unchecked human impact. Using ancestral indigenous knowledge in conjunction with analyses from modern conservationists, a well-rounded conservation plan for the local bird population was established. Biodiversity is not just a topic of concern for a few conservationists, but an essential natural balance that is crucial for all Life. Collaboration with those who have a long history of living in harmony with nature will help modern culture relearn how to minimize its impact on the ecosystem and prevent biodiversity loss. The story of this partnership with the indigenous Hewa demonstrates the critical need to preserve the cultural knowledge of the world’s indigenous communities. Preserving this cultural heritage by reconnecting with indigenous wisdom and relearning a more harmonious relationship with Nature will help generate a global community more capable of creating a healthy, thriving future for the Pachamama. Explore the depth of indigenous conservation initiatives in New Guinea. Read a detailed paper outlining the Hewa project and its implications for forest conservation. Learn more about our partnership with the Achuar and how you can support our work to preserve indigenous cultures and the environment. Immerse yourself in the indigenous lifestyle through a Pachamama Journey. Discover how you can become part of creating a thriving future for the planet and its peoples.